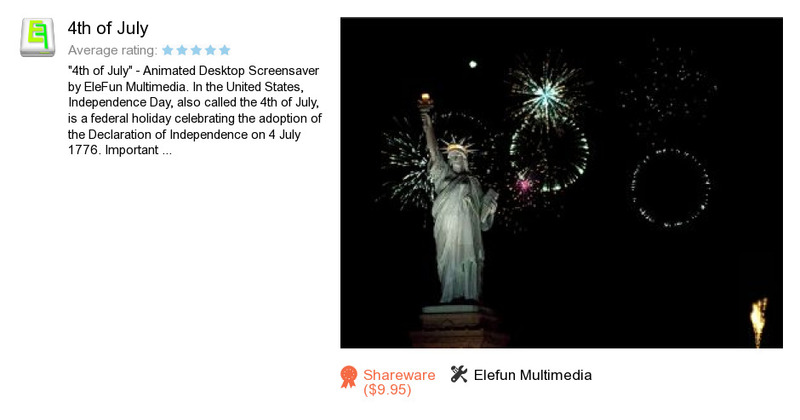 4th of July is a product developed by Elefun Multimedia. We know of versions 5.0, 3.1. Version 3.11 is available for free download at our site. 4th of July package has a size of 6,076,698 bytes. Elefun Multimedia also publishes Spring Stream and Irish Pub.